It’s time to start the new year clean and organized. 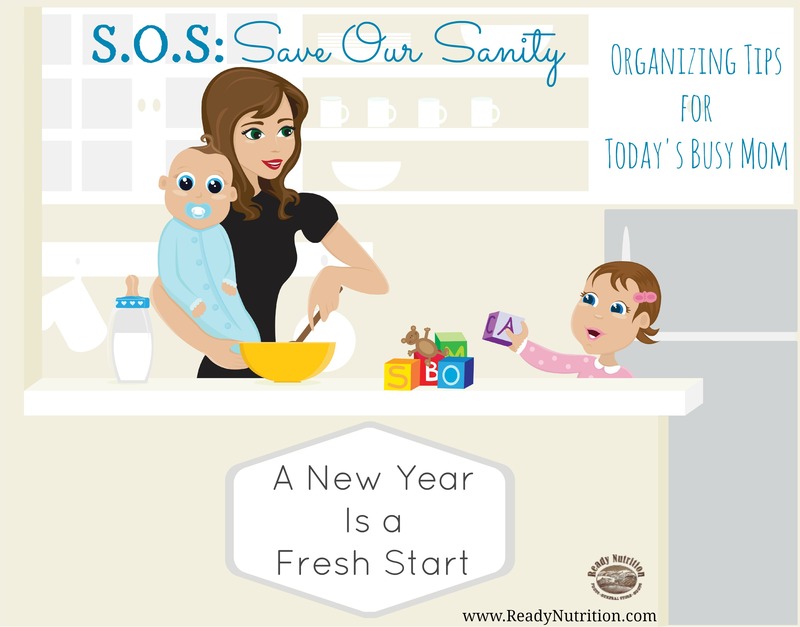 Organizational guru and supermom, Misty Anderson has created a room-by-room organizational plan that anyone can use o start the year off on the right foot. The confetti has settled, the horns have blown, the glasses are emptied, and the guests have gone home. Happy new year, right? As I clean up the mess left from the latest holiday, I can’t help but wonder what 2015 will bring. This time last year I was a single mom with three boys just trying to stay as organized and as sane as I could. I never would have dreamed up the wild ride 2014 had in store for me. It came with three moves, a husband, and a baby girl. With all that change, my focus this year will be to organize this expanded family. I’m not going to lie to you, every new year I make the resolution that I am going to get organized. I am not alone. According to statistic brain.com (http://www.statisticbrain.com/new-years-resolution-statistics), 45% of us make resolutions each new year. The top two resolutions for 2014 were to lose weight and get organized (Praise the Lord, I am normal), but only 8% of us kept them (wah, wah, wah). Did I fail last year to achieve my organizational goals? I don’t think so. The organizational plan I had in place had to evolve because my circumstances changed. That is isn’t a failure; that is called adapting to life. Let’s accept that our lives revolve around change and nothing is for certain. I am choosing not to be disappointed about how last year’s organizational plan didn’t meet my internal satisfaction level. Instead, I am focusing on the parts of that plan that did meet with success. In fact, I am going to get into the habit of starting off each year by focusing on what worked and what didn’t work and then start anew. In the spirit of starting fresh, I am going to blog my personal experience with getting organized and share a couple of tips with all of you. I am not an organizational expert or a professional designer. I am a writer, an editor, a mom, and a wife who happens to have a healthy obsession with organizing. While I attempt to juggle my career and family, I promise to be honest and share my successes and my “reassessments” in hope that it will help some of you who fight the same battle. The following is my starting point for an organized 2015. Clear the Clutter. Each Christmas my family acquires a new pile of stuff. A common mistake I have made in the past was failing to purge what already cluttered up my residence before the Christmas holiday. In November, I started getting rid of broken kids toys, old clothes that didn’t fit, items I no longer used, but I stopped short from crossing the finish line before Christmas. I don’t know about you, but I cannot start organizing if the house is a mess because I can’t see past the clutter. I always start the new year with a clean house. I clean the house as it is with the Christmas decorations still up. I move furniture around because I always find what is left of my once wrapped presents hidden underneath. I have the children take their toys up to their rooms and put them away. Everything may not be where I want it to be, but my surfaces are clean enough for me to envision a new organizational plan. Downsize. The house is clean, but now I am staring at a combined pile of old and new. I have too much stuff. It is time to downsize. There is a rule that for each item you bring into the house, three items must go; so if you received a beautiful new sweater for Christmas, three of last year’s sweaters should be donated, given to a friend, or sold on an online garage-sale type website. I like the last suggestion because you can make a return on your investment. I put my money in a home improvement fund. Set An Achievable Room-By-Room Organizational Plan. One mistake I have made in the past is to dive into organizing my entire household all in one weekend. That has never gone well. I have three boys who delight in making messes behind me, so most of my energy went to re-cleaning an already clean room. Last year I did manage to organize the utility room and the kitchen; however, while the system worked well for me, it didn’t work well for my boys or my new husband. I think it is time to reassess and revisit those rooms first. It is easier to move to a room that has no organization after I feel successful about a completed organizational project. These abovementioned items are only a starting place. My challenge to all of you and to myself is to find one small space to organize each day. If that is too lofty, aim for one small space a week. In 2016 you and I will start the year knowing that while we may not have reached the internal barometer that reads perfectly organized home, we will know we took successful steps towards achieving that mark. Happy new year! Tip: If you are having a difficult time deciding where to start your organizational journey, try starting with the first room you enter when you come home. The first room I enter is my laundry room. If it is a mess, it sets the tone for my evening. In fact, in my cleaning cycle, the laundry room is always where I start. Always start at your natural beginning.